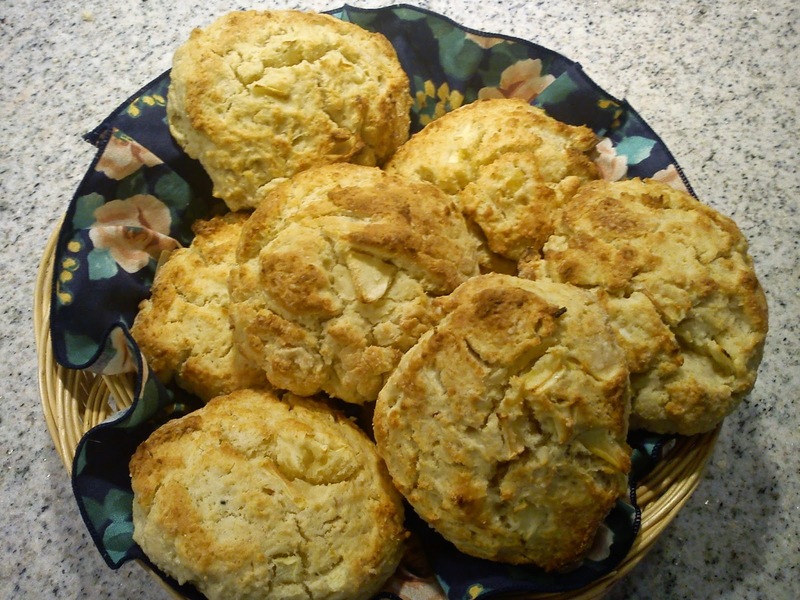 In case you do not have the time for baking Shrovetide buns (fastelavnsboller), when you should make scones instead of, as scones do not need to raise. Add the milk and egg without kneading into a dough. Add in the apple and marzipan without kneading into a dough. Roll the dough in a role using the baking paper for the rolling part. Cut the role into 8 pieces, form each piece into a round shape. Bake the scone at 250'C for 12-15 minutes in the middle of the oven.